I’ll warn you upfront: this will be a difficult fable if you are expecting me to hand you the moral. I’m not sure what it is, myself, but maybe it’ll give you what you need in your writing journey this month. That said, let me tell you the fable of the green pumpkins. 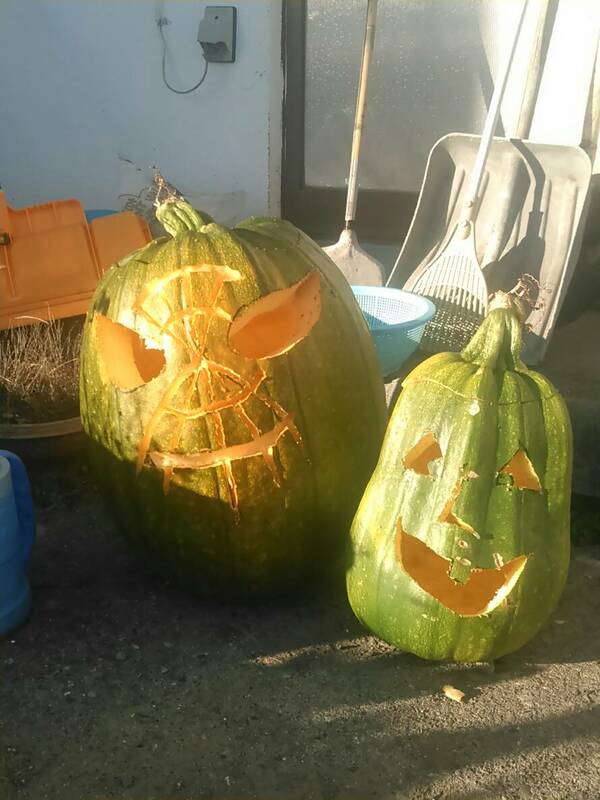 Pumpkins are not easy to come by in northern Japan. You can get them, but you have to look for them. I usually grow my own, and this year, I planted my pumpkins too late. Even though the frost was very late, the poor pumpkins just ran out of time. When the first frost finally rolled around in the middle of October, I was delighted to find that I had about four good-sized pumpkins, even though they were green. I took the biggest two to the porch, because I figured all pumpkins are black in the dark. It probably wouldn’t matter. I knew they were early, and that they’d not last for a full week. And in the daylight, they were the wrong color. It was OK, though. I think even orange jack-o’-lanterns look a little sad and gutted in the daylight. What mattered was how they looked at night.